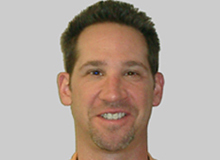 Jeffrey Loox has been a Physical Therapist since 1989 and joined Bechtel Physical Therapy In 1994. Jeff holds a Bachelor of Science Degree in Physical Therapy. After his undergraduate career, Jeff received a Master’s Degree in Orthopedic Manual Therapy from the Ola Grimsby Institute. As one of Bechtel Physical Therapy’s most experienced therapists, Jeff Loox has been specializing in the treatment of both orthopedic and rheumatological disorders. Jeff also has extensive experience working with professional and amateur athletes, both on the field and in a clinical setting. Like all the dedicated professionals at Bechtel Physical Therapy, Jeff constantly hones and expands his skills by participating in continuing education courses offered throughout the country. Jeff is an accomplished athlete in his own right who frequently terrorizes opponents on the softball diamonds and golf courses of Southern California. He is married and has a beautiful son and daughter.